Head sail is self tacking. Saloon settee converts to an additional double berth. A rare find in the area, a late model Hanse 445, this one appears to be in excellent condition and well maintained. In her current and second ownership since January 2016, she has sailed the waters of Thailand, Malaysia and Indonesia. 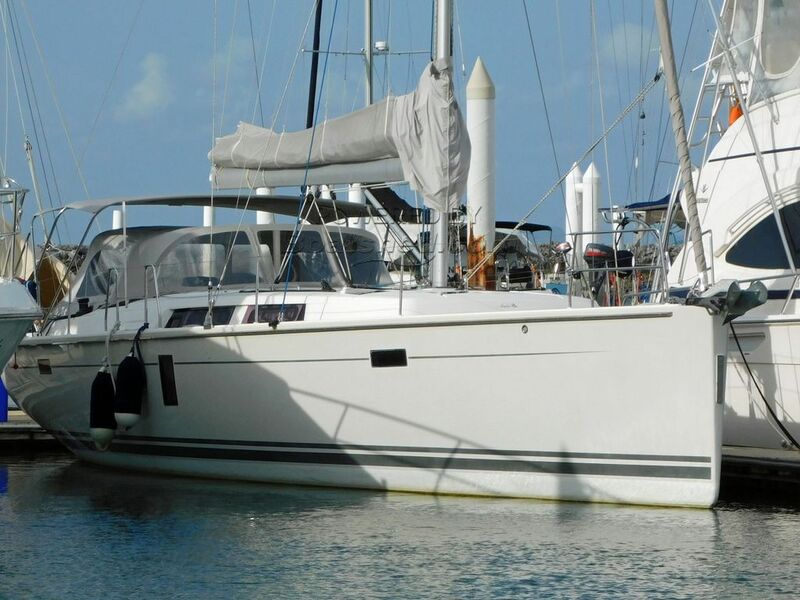 Well equipped with Generator, Air Conditioning, Watermaker, Bow Thruster and an Ultrasonic antifouling system, her owner is looking to upgrade to a bigger Hanse. New Dinghy 2017, New head sail 2017, New Lazy Bag / Bimini / Spray Dodger 2018. This Hanse 445 Sloop has been personally photographed and viewed by Alan Giles of Boatshed Phuket. Click here for contact details.